M+B is pleased to announce the first solo exhibition of work by renowned photographer Joseph Szabo in Los Angeles. As a high school teacher on Long Island, New York for more than two decades, Szabo used his rare gift for capturing the spirit of his students at Malverne High School perched precariously between puberty and adulthood--no longer children, but not quite adults. For 25 years he recorded their sensitivity, pretensions, passions and confusion in this series of extraordinary images. Taken in the seventies and eighties, these photographs represent a remarkable evocation of that period, and yet there remains something timeless and compelling about Szabo's portrait of the almost grown. The backdrops for Szabo's photographs are hallways, classrooms and the parking lots of High School. Some of his subjects are sweetly self-conscious, whilst others are self-assured beyond their years. Szabo captures the pathological significance of clothes, the stylistic necessity of cigarettes, the heavy mascara, the convertibles, the longing, the blossoming sexuality, the confusion and the time spent just doing nothing. Szabo has no agenda, and the fine line between intimacy and exploitation that other photographers sometimes approach is simply not in evidence. Szabo's first book Almost Grown published in 1978 by Harmony House was acclaimed by the American Library association. The book faded somewhat into obscurity until it became a cult classic amongst a generation of young British and American fashion photographers and film directors, including Sophia Coppola and Cameron Crowe. In 2003, Greybull Press re-made and expanded his earlier book as Teenage , which is a poignant chronicle of Szabo's work spanning two decades and includes an introduction by Crowe. 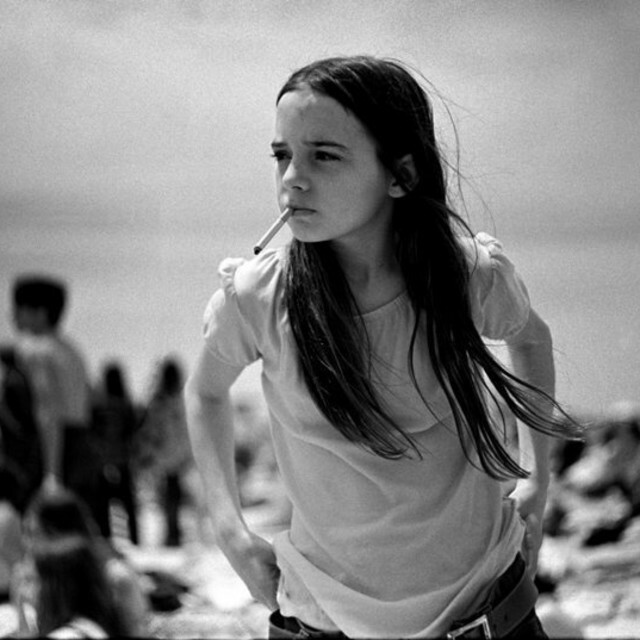 Joseph Szabo was born in Toledo, Ohio in 1944. He studied photography at the Pratt Institute where he received his MFA. He taught photography at Malverne High School in Long Island, New York from 1972 to 1999, and he continues to teach at the International Centre of Photography, New York. Szabo is the recipient of a National Endowment for the Visual Arts Fellowship, and his work resides in some of the most important public collections including the Metropolitan Museum of Art, New York; the Museum of Modern Art, New York; Yale University, New Haven, CT; the International Center of Photography, New York; and the Bibliotheque Nationale, Paris; among others. He currently lives in Amityville, New York with his wife Nancy. This is Szabo's first exhibit at M+B.